We’ll be playing Beholder live in its entirety for the first time, including two songs we’ve never played live before. 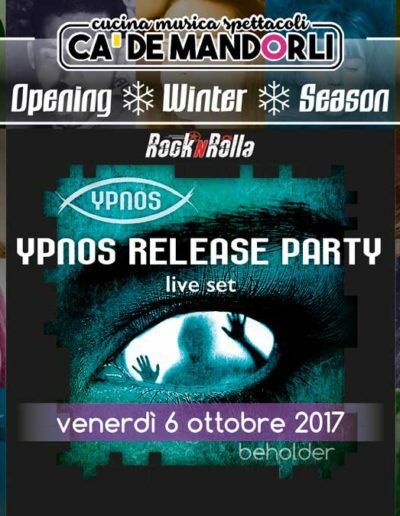 You will find our desk with Ypnos official merchandise and Beholder CDs. 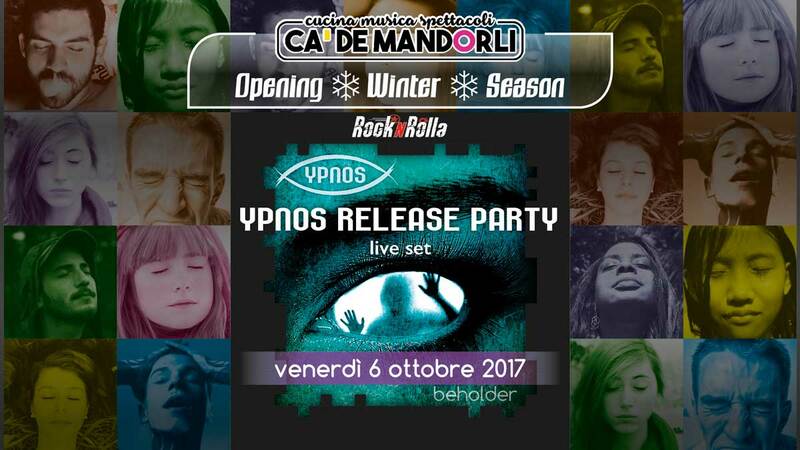 Ca’ De Mandorli is one of the most important music club in the Bologna area and we’re proud to have our release party there, in collaboration with RocknRolla.